The content you are trying to access is FREE but requires a free membership. Please continue below to login or register as a free member. You may also sign up as a premium content library member to gain access to even more GREAT content. Premium Member How does this work? 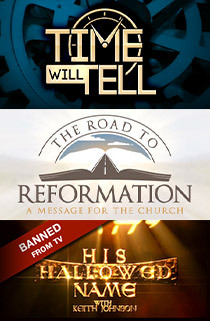 Plus The 'Right on Time' Series, His Hallowed Name TV Series, Biblical Brick Teaching Series, The Open Door Series, Premium Scripture Byte Series, Reclaiming the Real Hanukkah - Special, and more. Keith, I love all your teachings! The Road to Reformation is awesome. When you blow the shofar my heart stirs and my eyes tear. Every teaching I have watched of yours, I am talking to the TV or computer, praising our Father, giving you the Amens. At Biblical Foundations Academy, International, we believe that the people of God should have access to more than just books, sermons, and articles. We’ve made it our goal to bring you engaging, informative media that will inspire you in your walk of faith. God reveals His will and His way through His word, and we want to help you understand it in an exciting new way. We promise to continuously bring you what we consider to be “lightning in a bottle” through our video presentations. God’s word is everlasting and life-changing, and you can now experience it for yourself in our Academy Premium Content Library! Imagine yourself sipping a cup of tea or coffee in the morning, tablet in hand, or maybe crunching into an apple during lunch with your smartphone propped up on your desk, or perhaps settling into your favorite chair after a long day of work, laptop open, ready to dig deeper into the things of God. In our Academy you’ll have 24/7 access to a digital library filled with resources that will bring biblical language, history, and context alive for you! These presentations will equip you to understand and apply God’s instruction in your life, wherever and whenever you are available. At BFA International we focus on three main areas of biblical study as entry points to understanding Scripture: God’s Time (His clock), God’s Torah (His word), and God’s Tetragrammaton (His four-letter personal name). We are committed to providing the most up-to-date study resources to help you encounter the God of Scripture in a more intimate way. Keep up the battle-you are on the front lines. We pray that your quest will ultimately bring forth the remnant of restoration so needed in our churches today. Bless you! We are continuing to upload other video presentations that have been seen around the world, including The Clock Crisis and Accountability Has Come. And currently we are adding something many viewers have been asking for. Introducing The Open Door Virtual Tour, a series of live speaking events with more than 18 hours of powerful teaching by Israeli Bible scholar Nehemia Gordon and Keith Johnson as they toured the country sharing the revelation of God’s name and a whole lot more! This series alone has sold for $95 as a nine DVD set. Just by themselves, the DVDs of the three television series, plus the special video teachings, are valued at more than $250. But there is even more on its way to the Premium Content Library! We are in the midst of producing the new Now Is the Time series that is scheduled to be ready before the end of the year! The first episode is already on the library shelf for your review! For as little as $9.99/month or $99.00/year (a savings of $20.88) you'll get access to the entire BFA Premium Content Library. 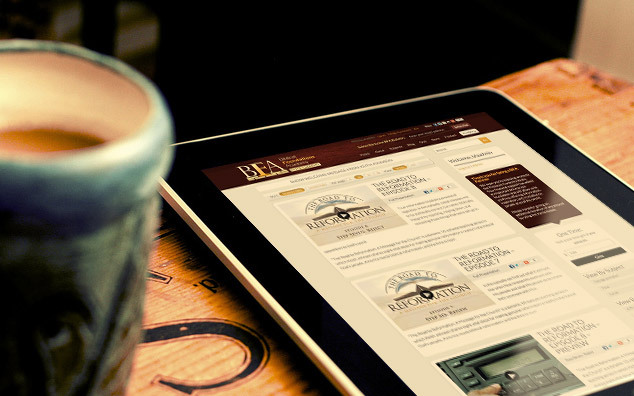 As an added bonus you will also have access to well over 100 other resources on the BFA International site, including dramatized readings, original songs, and “Torah Pearls”—52 radio podcasts on the five books of Moses—and much more! Keith, you and your team are doing an excellent job! This entire project is awesome and inspiring. Keep up the good work! When you join the Academy Premium Content Library you are helping us with the cost of producing even more inspirational content. In other words, your support will help us support you! We created the Premium Content Library so you could have the benefit of interacting with spirit-filled, life-giving resources, no matter where you are on your walk with God. Access the Premium Content Library Now!